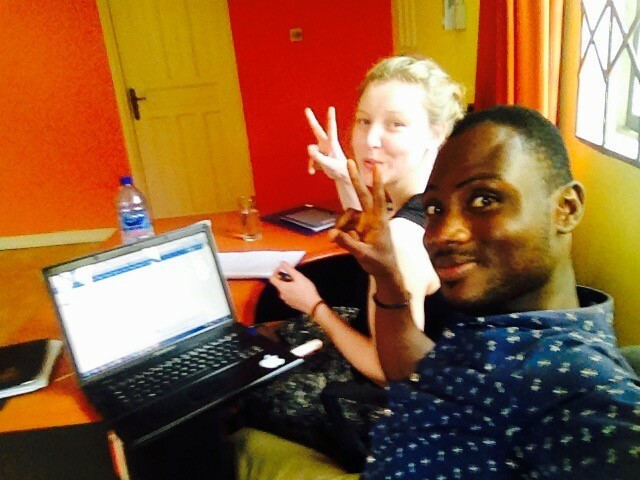 Have you been wondering what 3 months working in an African SME will be like? 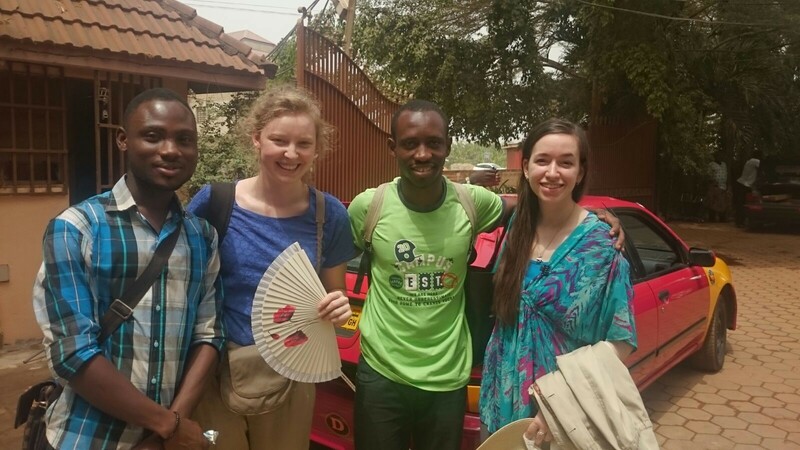 Are you curious about day to day life in Ghana, Uganda or Zambia? 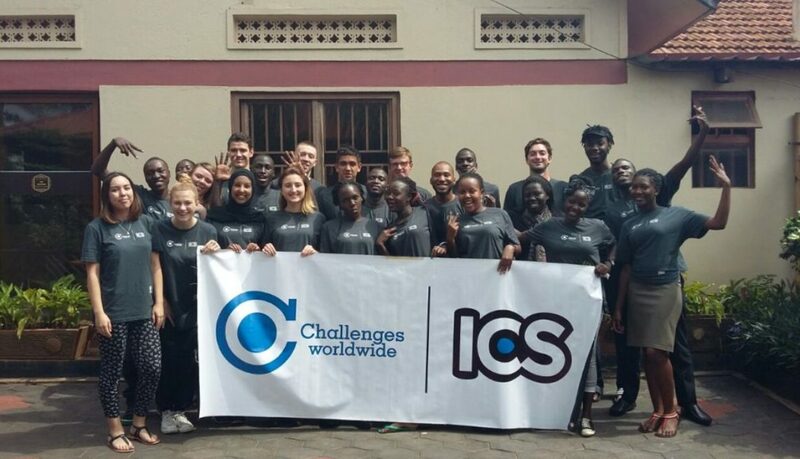 Do you have concerns about taking part in a Challenges Worldwide ICS placement? Have no fear, we have come up with a way to honestly and transparently answer your burning questions. 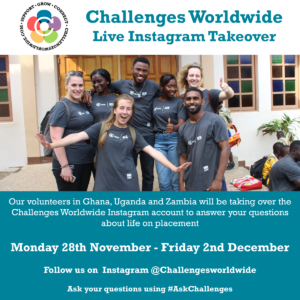 Next week our volunteers who are currently on placement will be taking over the Challenges Worldwide Instagram to answer your questions via live video streams. This is your chance to get insight into the placement from the volunteers that are there right now! Take this opportunity to ask all those niggling questions that you have about our programme. Our volunteer blogs tell some great stories, but now you can ask what’s it’s really like to live and work in Africa for 3 months! So all you need to do is click on the picture below and post your questions in the comments section on Instagram. We will collect up all of the questions and our teams in Ghana, Uganda and Zambia will answer them for you next week. Get your questions in by Monday 28th November and be sure to use #AskChallenges when posting. We look forward to answering all of your questions! Are you wondering how to make the most of your summer? We are beginning to take applications for our June – September programme. You can apply by clicking here. 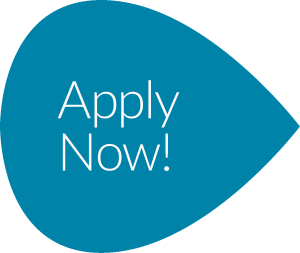 Summer programmes are always our quickest to fill up so if you are interested, apply today! The sooner you apply the longer you have to prepare for this once in a lifetime opportunity. 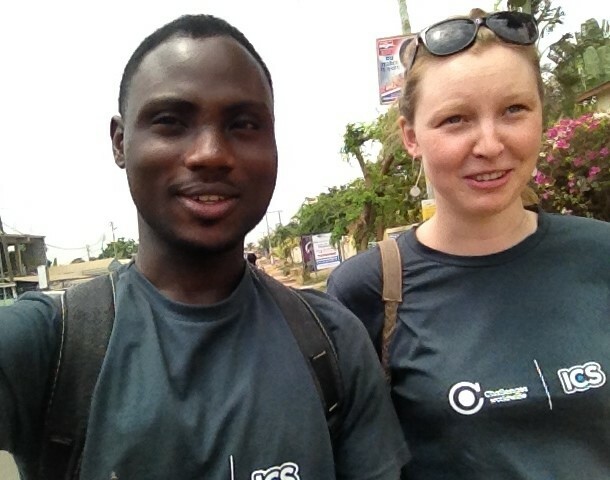 I joined Challenges Worldwide as staff when my former Team Leader, Simon Turner, mentioned that he would like me to be a part of the team in Ghana. My first thought about taking this job was the fact that the objectives of the organisation were dear to me. I love to help people improve upon their skills and I love to help people live a better and comfortable life. I realised that I could help volunteers with their self-development and at the same time help Small and Medium Enterprises to grow. This was the fundamental reason I decided to work with Challenges. Working as a Programme Coordinator opens doors for me to meet and work with people from diverse cultures. My journey so far from volunteer to staff member of Challenges Worldwide has been worthwhile and rewarding. Alastair Duncan has gone from strength to strength since his Challenges Worldwide ICS placement from January – April 2016 in Ghana. 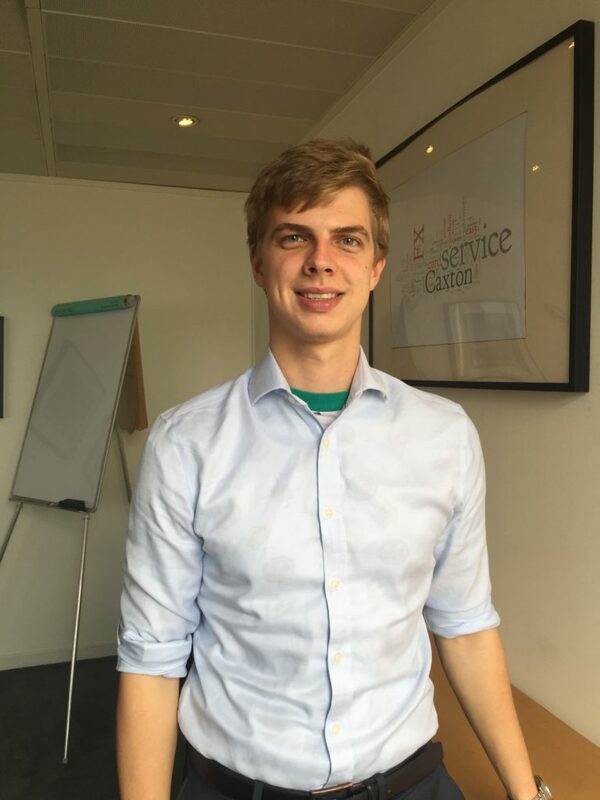 Before his Challenges Worldwide ICS placement, Alastair was already eager to work abroad and gain international experience. His goal, to become a Business Analyst for Tata in Pena, India working within Jaguar Land Rover. He identified a Challenges Worldwide ICS placement as the way to achieve international experience, cultural adaptation and experience working in a business. In his interview with Tata, Alastair was specifically asked about his Challenges Worldwide ICS placement as the overseas experience was essential to the Tata role. Indeed, Alastair stressed that this was “ not travelling” and he left the “gap year attitude” behind as he identified his placement as a sure way to realise his ambitions. In addition to being valuable work experience, being accepted to live and work into a new community for a prolonged period of time, gave him a greater insight. Being modest, and analysing your own values and looking to “embrace what local people do, understand why rather than criticise and to break boundaries between yourself and counterparts” is one piece of advice he would offer to any volunteer about to go out on placement. Modesty, along with managing his expectations and marinating a positive mindset, were central to making the most of the highlights. Alastair said that volunteers should “expect it to be life changing” but not to go with preconceived notions, positive or negative of their placement country. There will be ups and downs but in the end, Alastair would always remind volunteers, “You’ll get through it”. So what exactly did Alastair gain in addition to international experience? Central to his new role is the client relationship. Through CMI accredited training in-country, he was able to demonstrate to Tata that not only did part of the training he received on placement cover this area he implemented this training in a business during his placement. For his Social and Entrepreneurial Action (Action at Home), Alastair has offered his newly developed skill set on a voluntary basis to an SME in London. This action aims to secure the success they have had in the first five years of business and has simultaneously allowed Alastair to demonstrate he is capable of transferring the skills he developed on placement to another working environment. Alastair, we wish you all the best in the future and look forward to hearing more about your developing and exciting career! “So what exactly will you be doing in Africa and what precisely does a team leader do?” These are questions that I have been asked many times before, during and after my placement. It’s also a question that I asked myself a lot before I boarded my flight to Lusaka, Zambia to be a team leader with Challenges Worldwide. I knew I wanted to volunteer abroad whilst building leadership skills that would be useful to my learning and development as a consultant. After some intensive googling I came across Challenges Worldwide and thought it was a perfect match. 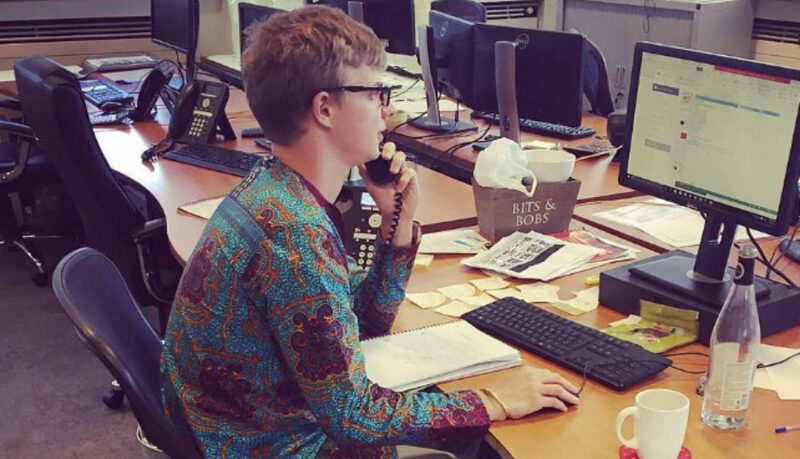 Challenges Worldwide is a pioneering social enterprise that offers volunteers the opportunity to work with small to medium sized enterprises on 12 weeks placements. It was everything I was looking for in a volunteer placement; building upon my consultancy experience to lead a team to deliver sustainable changes. As I excitedly submitted my application little did I know the adventure I had just signed up to? As much as we had many challenges, we also had many successes. One of my proudest moments was watching the Mid Programme Review (MPR) presentations. At the MPR presentations the teams present on their work to date in their enterprises, including their challenges, successes and findings. To add to the pressure they were presenting to a panel of industry experts including the Department for International Development (DFID) who would ask questions and provide feedback. As much has the team had prepared and practiced in advance everyone was nervous as presenting to a room of 50 isn’t an easy job, especially to a panel of experts! However there was no need for all the nerves as it was an excellent day and as a team leader it was an amazing opportunity to reflect on the progress and growth of the volunteers. To see how much they had learned and achieved over such a small period of time was incredibly rewarding. Through my experience as a team leader I have enhanced and developed many skills that are hugely transferable to my job as a management consultant. Prior to this placement I would have called myself a good manager, but not a leader. However, the role as a team leader is essentially a free, intensive, three month leadership training course. It has taught me so much about leadership and the importance of developing and inspiring. This experience has also being incredibly rewarding from a cross cultural experience. By living in a host family and having a Zambian counterpart it was an amazing opportunity to be fully immersed in the local cultural and ways of life. This has helped teach me the importance of cross cultural differences and truly highlighted the needs to be adaptable, flexible and understanding. Yes, every country has different cultural norms and approaches which can be daunting as well as frustrating – but these differences should be embraced and celebrated. This is an incredibly important skill in today’s interconnected global world. I equally learned the importance of admitting when you don’t know the answer. As a team leader you generally do get bombarded with questions from bus routes, exchange rates, supply chain theory to even the chances of rain today (and I am most definitely not a weather woman!). To be a good team leader you don’t need to know everything – realistically we are still volunteers and we are learning as we go the same as the team. If you don’t know the answer – that is fine – you just need to work through the problems logically and ask for help when you need it. In a group of 42 there are always going to be other people that can help and support you and that you can learn from. I still can’t quite believe that my three month placement is over. It has been one of the most challenging, frustrating, enlightening and rewarding things I have ever done. When I applied I thought it would be a great opportunity to gain real life leadership experience and enhance my CV whilst experiencing a different culture. Little did I realise how much I would truly learn and that it would spark new career interests. I plan to continue within consultancy, with much more of a focus on training and learning and development. In working with Challenges Worldwide, I’ve learned that leading and managing volunteers is hard work, but rewarding. I would recommend this programme to anyone wanting to explore their leadership potential while discovering the beauty and diversity of Africa. Being a TL is a challenging role no doubt. But with all challenges there are rewards and lessons to be learnt. 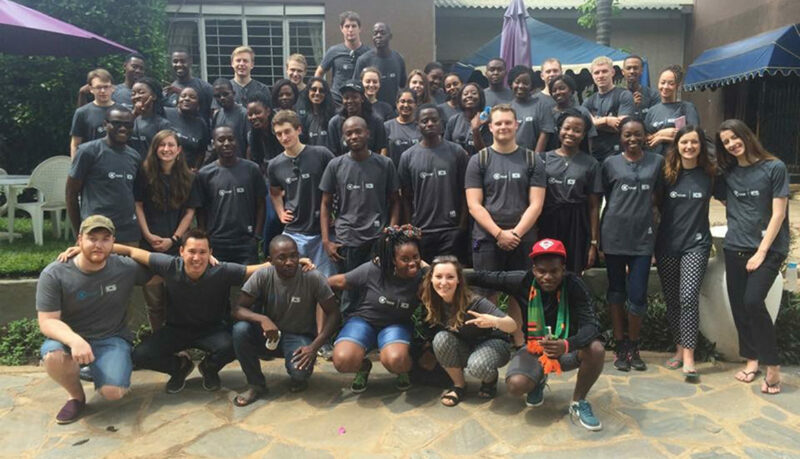 My journey to become a TL began over a year ago when I became a ICS volunteer for Raleigh International in Tanzania working with young potential business owners and seeing first hand the change a small group of young people could make. It was my passion to continue leading this drive of youth and active citizenship in Africa. The ICS programme has a strong set of values. 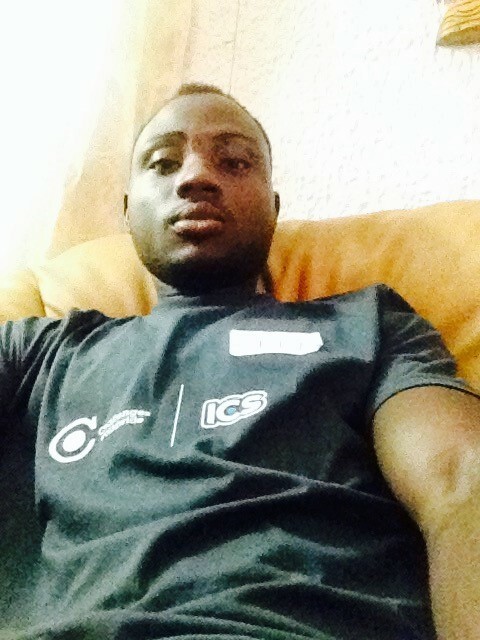 To me the ICS programme stands out from all other aid and development programme. The key areas that make it unique is the use and focus on youth led change and the creation of global citizens through UK volunteers working in pairs with in-country volunteers. In the short time I have been in Accra, Ghana I have seen great bonds being created and cultures shared including both (Ghanaian and UK culture nights). The ICS programme stands for change through the sharing of knowledge and aims to be sustainable where the people supported are then able to support themselves and continue sharing the knowledge further and wider (compare this to giving someone money! A process of development still used by many governments and charitable organizations). Visiting the businesses and host homes has made it clear the progress volunteers make on this project. The feedback from the enterprises we work with has been amazing and they really understand and appreciate the role of the volunteers as Junior Consultants. 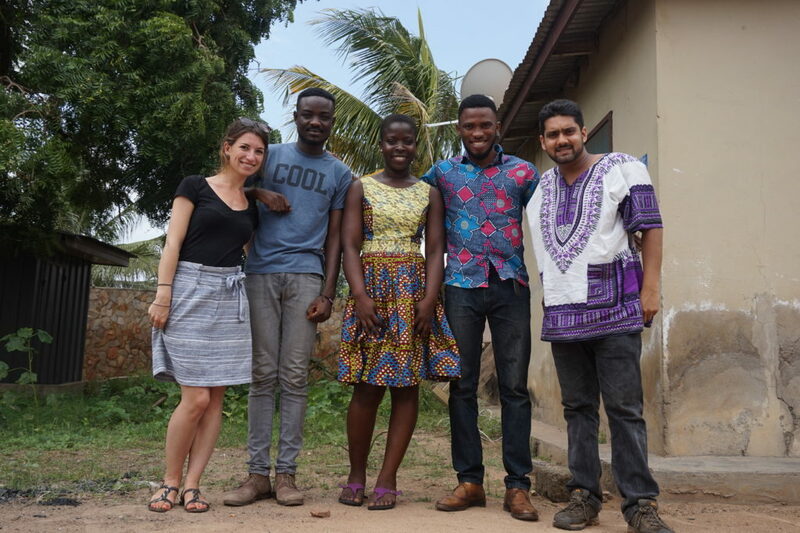 Volunteers have already been putting forward ideas to businesses such as Norte Drinks (led by Clara) where new locations for selling their nutritious Ghanaian-made Sobolo drinks are being planned and trialed. When I embarked on this journey I thought that I was going to share a lot of knowledge, skills and experiences with the volunteers. However, I have also learnt a lot from them in the short amount of time we have been here. From the passion and persuasive techniques used during Active Citizenship debates. To volunteers commitment to go beyond their role. I have seen volunteers come out of their shell and co-operate across cultures. It has inspired me that youth are a tool for change and that no matter where you are in life there is always things to learn from one another regardless of culture, education or personality. The TL role on the Challenges Worldwide journey is not conducted alone. 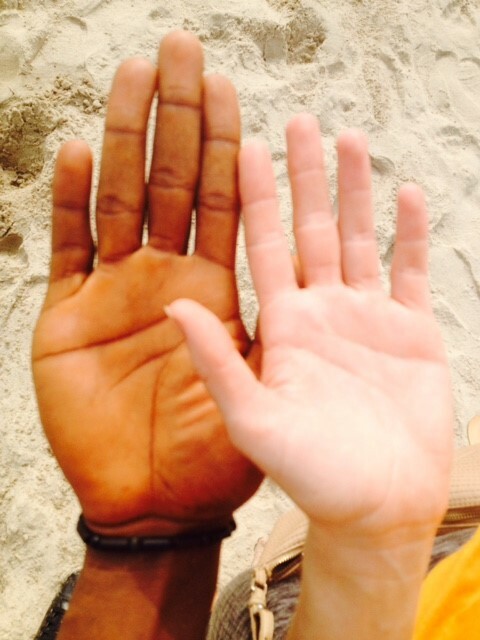 As a TL you have a counterpart pair (One UK volunteer and one in country volunteer). For me as a UK volunteer, my in-country counterpart has been Raphael Somaila Ibrahim. Since meeting we hit off our leadership relationship while singing Bob Marley and him teaching me how to hand wash clothes effectively. By working as one unit we have been able to lead the team effectively and it is no question that problems as a TL arise. However, it is the core ICS principles of flexibility and adaptability alongside a positive and realistic commitment to the programme we continue to work strongly together in the interest of our volunteers, the most passionate and caring set of young people I have ever met. The role of the TL is a great stepping stone for anyone who would like to work in the field of International Development, volunteering or supporting youth. I have learnt how to adapt to new environments and seen first hand the issues that reduce effective development. I have also learnt how to lead teams (it’s in the roles name!). Lastly I know that working with passionate young people will be useful in the future and has helped me understand the best ways to support them and to get the best out of them in short period of time. I aim to continue my career in the International Development field and I recommend becoming a Team Leader for anyone who also shares the same goals! You won’t regret it! We are finally coming to the end of our colourful, crazy, fantastic, difficult, wonderful programme in Ghana. The past twelve weeks have brought a huge range of experiences, and I want to reflect on the lessons I will take with me when I return to the UK. Personally, I have been challenged in ways I never anticipated. I knew it would be hot in Ghana, but I had no idea how much the climate would affect me. I knew the food would be new, but I didn’t realise how much I would miss food from the UK. I knew people would live their lives in different ways, and I knew I would have to adapt, but I didn’t know how hard this could be in the context of such a long period. However, as we reach the end of our stay here, I am sad to be leaving the sunny days. I will miss many of the dishes I have discovered, from plantain and red red (beans), to FanYogo (strawberry frozen yoghurt). I have grown to love our host home, with the mango tree and bougainvillea growing over the compound walls. I have learned about the importance of positivity and persistence. I have learned to take advice from people who know better, and to approach new situations with an open mind. When I set off for Ghana, I was boarding a plane with a group of 17 other UK volunteers I barely knew. 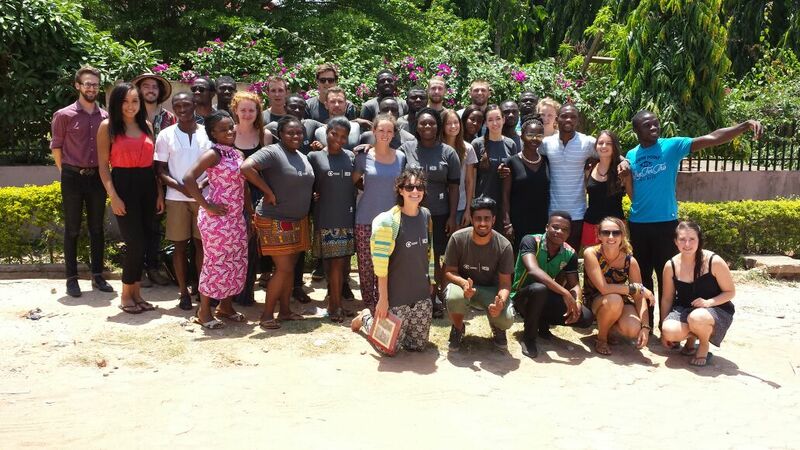 When I arrived with Ghana, I met another 18 Ghanaian volunteers who were entirely new. I was paired with Francis, my Ghanaian counterpart, and put in a host home with two other volunteers, including Stella with whom I have shared a room for 3 months. 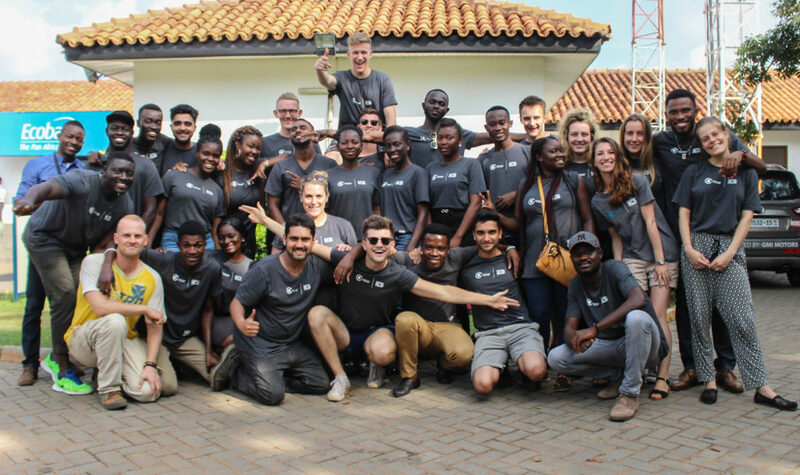 Between the UK volunteers we have a broad range of personalities, backgrounds, and experience; with the Ghanaian volunteers, the range is even broader. Over 3 months, I am so lucky to have been able to spend time with so many interesting people. I am grateful that they have shared their stories with me, and have been fascinated to learn the different ways that they see the world. Ghana has lived up to its reputation for hospitality, and I am hopeful that I have found friends for many years to come. I have learned about patience. I have learned how important it is to listen. I now know that it is still possible for people who hold fundamentally different opinions to have strong friendships. In Ghana, I have been faced with completely different values, opinions, and lifestyles, and much of this is down to its status as a developing economy. I have seen people living in poverty, without access to clean water or education. I have experienced restrictions in terms of resources like electricity. I have learned about the deep scars left by the slave trade and colonial history, and the suffering which continues as a result of corrupt politicians and exploitation from international corporations. Here, people tend to eat every part of every animal. People take great care of their possessions, and repair them before replacing them. Children often work alongside their parents to support the household, even when they attend school during the day. Religion is an incredibly strong force, giving believers hope for their futures. People help strangers on the street, and share good fortune with their neighbours. I have learned about my own privilege. I have learned the importance of using my power as a consumer to support ethical business and fair trade. I have gained perspective on the West’s disposable consumerist culture, and the damage it wreaks on society and the environment. A key part of the programme has been our work with businesses. 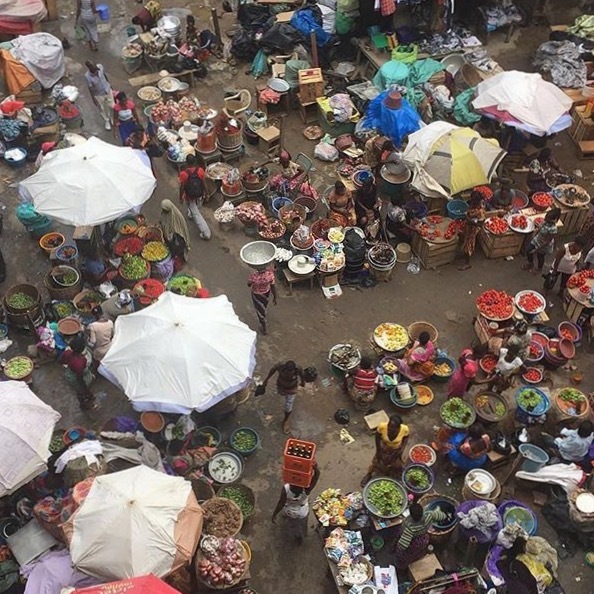 There have been issues in this area which will hopefully be resolved for future cycles, and I have seen a number of businesses from a number of angles, and learning a huge amount about the unique challenges in the Ghanaian market, from poor infrastructure to high utility costs. However, I have also learned about the opportunities. I have been able to spend time in a business which was set up by a Ghanaian woman from nothing, and which now provides employment and training for women and young people in rural areas. I have worked with an NGO which is single-handedly revolutionising Ghanaian attitudes to recycling. I have seen the huge opportunity which is out there, and the enterprising spirits of many Ghanaian business owners. I have learned that few things are impossible, and that many things can be achieved with a combination of courage and hard work. I have been inspired by the innovation and strength of people who have found their own path under challenging conditions. These are not necessarily the lessons I expected to learn from my time on a placement with Challenges Worldwide International Citizen Service (ICS); however, I know how valuable they are, and I will take them with me as I journey home. Just as some young people develop their physical muscles through overcoming opposition – such as lifting weights, so do other young people like me also develop our character muscles by overcoming life challenges and adversity; one can never overcome without taking up a Challenge. This thought has haunted a young man who for a very long time has built a heart fulfilling aim of making some positive impact in his society. Pat Riley, through his famous quote strengthened my passion as he stated “If you have a positive attitude and constantly strive to give your best effort, eventually you will overcome your immediate problems and find you are ready for greater challenges.” my best effort was responded to positively to be part of young Volunteers who has similar ambitions, my training at Suma Court built up my interest in volunteering and making impact in society. Seeing the passion in our UKV (UK volunteer) counterparts when they finally arrived and their response to our welcoming drumming and dancing energized our level of enthusiasm to face challenges in a country which is widely seen as the “Gateway to Africa” and has many prospects in every business area. Most Ghanaians are employed in the informal sector which is mostly owned and managed by private business men and women who face enormous difficulties of understanding their business environment in which they operate. Training finally came to an end and I was paired with a Lady whom I knew barely anything about throughout the training period, the only thing I knew was her name, Stella was my counterpart and the first challenge was to know her better before we even leave Suma Court. Our first interaction started with a wave at each other, we later on met again to have a chat which was more fruitful and I saw in her eyes a smile full of skepticism, she was not sure about her counterpart (me) and how I will cope and support her to face and conquer the bigger challenges ahead but what she never knew was that, our aspiration for the task was mutual. In our introductory chat, we discussed our placement which was a Shea butter company called Strictly Roots located in Osu, a very busy town in Accra. The next challenge was to know about our Business placement and know what they do, before i could enter my phone’s pass-code, Stella informed me she had earlier checked the website of the enterprise and was already briefing me about the business. I was amazed, I joined her to read about the business and how our placement would be very beneficial to the enterprise and sustainability of the business. By the time we concluded our first encounter, my thoughts about my counterpart was more of positives because her high sense of pro-activeness. Saturday came and we were informed about our host home which was in Nungua, another Challenge of Settling in with new a family, roommate and Two UK counterparts pairs was smiling at my skeptical face, fortunately or unfortunately the final hour came for us to be picked up by our host Family. we were the first team to be picked up, leaving our new found friends at Suma Court was a bit difficult but my upbeat for the task ahead always raised my head up. Training made us feel like the best consultants on earth but it never took out the difficulties we will face in our quest to make a change in our respective enterprises. Our chartered taxi brought us safely to our host family and we were warmly welcomed by Auntie Alice whom herself has had an experience of being placed in a host home when she traveled to the US; her cross-cultural experience was very in-depth with a long stay in UK. Our welcoming exchanges were climaxed with a delicious Lunch, we went on to introduce ourselves to her and told her much about our background and she exhibited great understanding for the programme, it seemed i had tackled my challenge of settling in and feeling accepted by my host mum. I continued my chat with my counterpart pair, all in an attempt of building a good relationship between us, notwithstanding, I considered these challenges to be lesser ones and that there is a bigger one which needs a united force of UK and GH intellectual collaboration in order to be triumphant. Monday came and it was time for our first CMI session, getting to the Office for the session sent us through ‘Circle’ for the first time on a busy Monday morning, the looks on my counterpart’s face wasn’t amusing because of what she had earlier heard about Circle, we manage to cross that hurdle of street vendors trying to sell phones and other gadgets to us and we finally got to the office but a little late because of huge traffic. Presentations and other activities went on as planned and the day finally ended in a tiring mood. Tuesday was a working day, it wasn’t just a normal working but the day volunteers would be meeting their business owners for the first time. “Strictly Roots” was the name of my business. The owner was a woman who has had a lot of international exposure, my counterpart and I placed a call to her and we managed to schedule a meeting with her for 1:00pm, the immediate hurdle was to get to the correct location under a scorching sun. A walk from Danquah roundabout to the office of “Strictly Roots” was a bigger challenge for my counterpart than me. I saw her in an exhaustive mood with her face turning red after walking for about 25 minutes trying to locate the office around Osu. Our walking trip was not done without heckling from traders because of what I termed the ‘White Effect’, people were just saying ‘hi’ to me simply because I’m walking with a white lady and they would always approach us with stuffs to buy, something I wouldn’t have experienced if I was to be walking alone. But it was fun, I felt some pity for my counterpart, as she would be facing it for the next 10 weeks. We finally arrived at the flagship shop of Strictly Roots. Fortunately, the room was fully air-conditioned, Stella looked relieved and from the expression on her face that was what she really needed, because we arrived earlier, we had to wait for the CEO, after some minutes Ruth finally arrived and we exchanged pleasantries and introduced ourselves to her. She invited us into her house for the actual meeting. Our faces gave away our exhaustion and Ruth was kind to offer Coconut drink instead of water which was exactly what I needed to quench my thirst. At no point in time was I carried away by the treat but had in mind the bigger challenge of fitting in and being accepted by the business and the owner as well, our meeting started on an interesting note where Ruth told us about herself and her mission in Ghana, she continued to tell us about how she started the business and the challenges she has faced over the years to get her business running. From my viewpoint, Ruth was an astute business woman but her business in Ghana was a start up which needed serious brand awareness and market analysis. The meeting continued with my counterpart first introducing herself and I followed same, we went on to tell her about Challenges Worldwide and their plan for developing economies through the support of SMEs in a more inclusive and sustainable manner through young volunteers. The meeting ended with Ruth introducing us to her Operations Manager, who was a friend from the US, Jennifer assured us of the utmost cooperation for the programme which made me happy because I felt our initial exploratory meeting had been convincing and I was on the right path of making a positive impact in my society. The meeting was followed by an email from the business, expressing how happy they were to meet us and how ready they were to work with us, the next meeting was scheduled for Thursday at our CEO’s request. Next meeting day finally came; I was really ready for the second encounter of knowing my business and my counterpart was equally geared up for it, Ruth opened the meeting with some concerns which had been bothering her the night before, ‘Issue’s of confidentiality’. This was really a tough one for myself and my counterpart, we did our best to convince her about our utmost good faith with dealing with her, she looked a little convinced but other interconnected issues came up and our high hopes of a fruitful meeting was going down the drain, this was really a tough challenge to handle alone. The pending issue wasn’t solved and my business sadly pulled out through an emailed and I was duly copied, I was devastated and saw it as failed attempt of facing a challenge but this was not new to our Programme Coordinator as he has faced similar cases in earlier cycles. I was now expecting to be placed in a new business, the long wait was finally over as my counterpart and I was informed about our new business. Amab Fine Snacks was the name of the enterprise and they produces KeleChips (plantain Crisps). I was very happy to be once again an active citizen after the earlier disappointments but I motivated myself with this quote, “A goal with no challenges is one which is not challenging enough”. Strategies were reviewed and we are now quietly settling in our new business hoping to conquer that bigger challenge and make that positive impact society needs from young people like myself and Stella. The challenge never Ends !! Challenges Worldwide return volunteers from 2015 met in Accra last Sunday to share their experiences with DFID (Department of International Development) representative Martin Leach. We were delighted to host Martin who, in turn, was keen to hear about experiences from our time as volunteers and also wanted to find out what we were doing now. It was the first visit of its kind to any ICS host-country since the inception of the programme. We started by sharing how we had initially come to hear about ICS and then moved into more challenging points of discussion; how we felt about certain rules that constituted to the code of conduct of the programme for example. We also discussed the different skill sets we had, what we were doing before the programme and the values we acquired through participating in the ICS: Challenges experience. We also had some time to reminisce. It was funny, as these moments actually brought about mixed feelings. We were sad because we missed our counterparts, but at the same time recognised how great it was that we had got to meet and spend time with eachother other in the first place! All of us made sure we let Martin know how valuable our time with ICS: Challenges was – as we were all keen to communicate the importance of continuing to support this great programme to DFID. Quite simply, the success of the programme is evidenced in our lives as having a definitive, positive impact on the growth of Small and Medium Enterprises in Ghana. We were so engaged in the discussion that we didn’t notice how fast time was ticking and before we knew it our meeting was drawing to its close. Proceedings were wound up with a presentation of ICS certificates to some volunteers ( including me!). It was wonderful to meet up with everyone again and we very much hope to have more meetings for us past volunteers. ICS-Challenges Worldwide made us reach beyond ‘useless’ and discover things, places and people we would not have had the chance to explore without this great programme. We are a family; a great family and very much hope this family will continue to grow, with enterprise development volunteering at the heart of us. Twenty-one people from the UK and twenty-one people from Ghana have been united as a result of a new hope. Sharing a common purpose, Challenges Worldwide, a charity, has enabled these people to contribute toward furthering international development and alleviating world poverty. 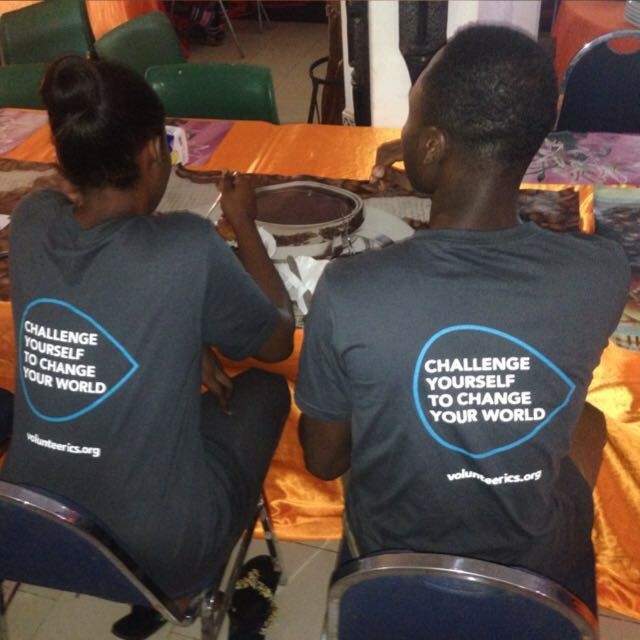 Challenges Worldwide provides an opportunity to those who want to see change in their world, to go out and make that change themselves through a new and innovative approach to volunteering. Eighteen UK Volunteers (UKVs), eighteen In-Country Volunteers (ICVs), two UK Team Leaders, two In-Country Team Leaders, one UK Program Manager and one In-Country Program Coordinator will all be working together under this common purpose in Accra for twelve weeks between February and May this year. During this time, their efforts will not be going towards building another school, teaching English or painting a hospital. With professional mentorship, corporate tools and resources and working through an internationally recognised training qualification, these volunteers will be working with small-medium enterprises to empower people out of poverty. Launched in 2014, the International Citizen Service (ICS) scheme, a Department for International Development (DfID) funded programme, has been supporting entrepreneurs in developing countries all around the world ever since. Challenges Worldwide plays a major part in the success of the programme by utilising the best intentions of its volunteers and turning these into the best results for them and the local economies within which they work. It is this symbiosis between benefitting oneself and helping others which particularly attracts the volunteers to take part. Challenges Worldwide target their impact by accepting businesses onto the programme in the sectors which will have the most positive and sustained impacts through the networks in their supply chains. By supporting and enabling entrepreneurs to grow their businesses they directly and indirectly support the local communities surrounding them. These businesses will receive and provide services, goods and employment to and from people directly affected by poverty within their nearby regions. In assisting these businesses to grow, their impact is multiplied and fed through into these communities through sustained ripple effects and ultimately brings a new hope to populations across developing countries to lift themselves and others out of poverty. To achieve such long-lasting and sustained benefits, Challenges Worldwide’s ICS programme utilises the motivation, intelligence and energy of young people to drive this change. The selected enterprises receive the benefits of the time and effort of focused and hard-working young adults to work alongside these enterprises. As the Department for International Development funds the necessary expenses for ICS volunteers, the businesses get this support entirely for free. Another way in which Challenges Worldwide stands out from other international volunteering programmes is the way it trains its volunteers towards achieving a Level 5 Certificate in Professional Consulting from the Chartered Management Institute (CMI). This means that the volunteers don’t just work alongside their enterprises as volunteers, but as trained Business Support Associates, conducting important and relevant analyses using professionally recognised tools. With the support of an online learning environment, Challenges College, the volunteers and entrepreneurs have access to a wide range of support and resources to enable them to complete and understand the results of these analyses. After these analyses have been completed in the sixth week of their placements, the volunteers will present to their enterprises, delivering specific and tailored recommendations on how they can improve and grow their businesses. Then the volunteers will spend the final six weeks beginning to implement the recommendations agreed upon by the enterprise owners and themselves. In order to do this effectively, both the volunteers and entrepreneurs have close contact with a professional mentor, with a minimum of 10 years of experience in business, to help guide them through this process. Finally, each business also signs up to use Challenges Marketplace, a free, safe and secure online platform, provided by Challenges Worldwide. This platform facilitates a sustained relationship between the entrepreneur and the professional mentor as well as providing an ability to monitor the performance of the business through regular reporting. If the business continues to report on a monthly basis they are able to further unlock many potential benefits including the ability to receive support from industry-specific consultants, possibilities to create trade links to local and international trade partners and, crucially, the opportunity to receive investment, ranging from small-scale capital grants of up to £5000 to potentially large-scale external private investment between £100,000 and £1,000,000 from impact investors. The incentives for enterprises to partner with Challenges Worldwide are clear and many, and really do offer them a new hope. One of the enterprises Challenges Worldwide is working with this Spring 2016 cycle is Michachn Inventions, a business specialising in the development of self-powered electronic appliances. A long walk down a dirt road from the George W Bush Highway at Hong Kong, past a local school is where you can find Michael behind his desk inside his humble office. 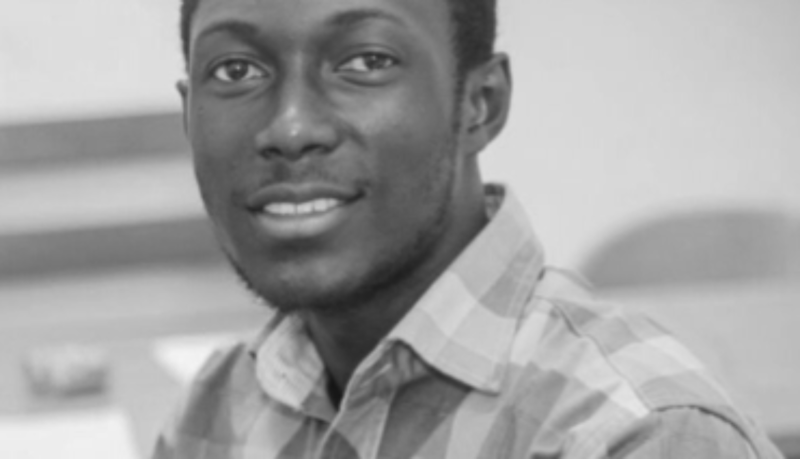 A ‘practicing scientist’, Michael graduated with both Medical and Electrical Engineering degrees and then went on to become the Founder, CEO and ‘sole mind behind’ Michachn Inventions. His unique and independent approach to life radiates from his irreverently positive outlook. Starting at the young age of 14 years old, Michael began designing, manufacturing and selling his first popcorn machines. After selling his first machine, he used the money to build two more machines, which he then went on to sell and use the money to build four more. Through a continued process of manufacturing and selling, Michael’s entrepreneurial potential began to flower and as his business grew he used its fruits to finance himself through university. Despite going to university, he describes himself as ‘88% self taught’. His ability to work through his own initiative and to play by his own rules becomes apparent when you hear of the vast array of products he has designed, ranging from solar-powered popcorn machines to solar-powered motorbikes to solar-powered lamps named ‘Gloritaive’, a name inspired by his mother. Like his solar-powered lamps, his faces shines with excitement when he speaks about his next project, the Self-Powered (SP) Series, ‘the new generation of electrical appliances’, which he claims includes a solar-powered mobile phone and laptop. Michael describes an entrepreneur as much like ‘a seed of maize’. Maize has the potential to grow to become a tall and strong corn plant which can feed people. It can even produce more corn plants to feed more people in turn. Yet, for the maize seed to get to this state, it must survive a natural and potentially destructive struggle against competitors for a limited amount of resources including nutrients and water in the soil. This description’s imagery and meaning is clear. If entrepreneurs achieve their potential, they can help to empower people around them or even help to start more enterprises. Yet, these businesses require essential inputs to grow. Inputs such as clear direction, good employee and financial management, a gap in the market for its produce and often investment which it constantly competes for with other enterprises. Michael believes the biggest way we often deceive ourselves is in believing the world is ‘nice and easy’. Through this anecdote he aims to dispel that myth, as without some of these essential inputs, an enterprise is likely to fail. In this world, even entrepreneurs like Michael can use a bit of targeted watering to help them fulfil their potential and this is what the volunteers who have been allocated to his business hope to provide. Even though the volunteers had only been working for Michachn Inventions for one week, Michael was eager in his praise. They had already established a better way for the firm to keep its financial records using Microsoft Excel and Michael felt he was learning personally from one volunteer’s commitment to working to an organised time schedule. He also seemed particularly invigorated by the idea of having two fresh pairs of eyes see his business for the first time and he seemed certain from his experiences already with the volunteers that with their ‘abilities and intellectual skills they can bring more order to [his] business’. For a modern day Thomas Eddison like Michael, who has light bulbs seeming to endlessly go off above his head, a bit more order could perhaps be exactly what he needs. 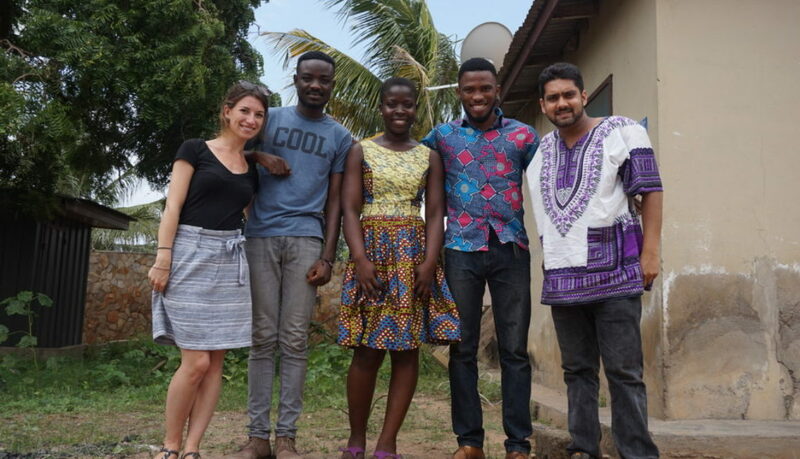 Just as the volunteers can shine new light on old problems within the enterprise, Michael believes that his solar-powered appliances can bring new solutions to Ghana’s energy crisis. In a country cursed with recurring dumsor – electricity blackouts – and in a continent which is blessed with almost endless sunshine, Michael is confident that solar energy can be a sustainable source of renewable energy in Ghana. Michael has changed a lot since he first began the business, but one thing has definitely remained the same and likely to remain unchanged. This is his motivation for inventing his products. Michael says he feels a great sense of power when he turns something otherwise useless into something useful. He constantly aims to generate value through the natural gifts which he has been given and which surround him. Every time he manufactures and sells a solar-powered product, he turns otherwise unused materials into useful profit, much like how his products turn otherwise unexploited sunlight into useful energy. The way Michael’s motivations in business synchronise with the purpose of his inventions gives him hope that he is on the right track. Michael hopes to grow Michachn Inventions so that one day he can produce enough solar-panels to reduce their cost for businesses and consumers across Africa and he is convinced that this is ‘only the beginning’. The UK volunteer working alongside Michachn Inventions is Chris. When Chris is not working on-site at Michael’s office he can be found typing away at Second Cup, a coffee-shop at West Hills Mall. He grew up in a small village in Wiltshire and recently graduated in Geography from Plymouth University. Many graduates from UK universities can spend considerable time applying for ideal jobs without securing one for several years following their studies. But this was not the case for Chris. After graduating, Chris was fortunate enough to be accepted into a job that relates closely to his degree and which he enjoyed. Working as a consultant for an energy consulting firm, his role involved advising businesses in how they can reduce their energy consumption in order to save money as well as lessen their negative environmental impact. Having found a very rewarding job he could see himself having a career in and having made close friendships with colleagues, Chris could have felt that he was comfortably on-track for a successful future. Yet, despite his fortune, Chris recently made the decision to leave that job to volunteer with Challenges Worldwide in Ghana for 3 months. Like Chris, many of the volunteers on placement with Challenges Worldwide have put careers on hold or left jobs they once considered ideal. For Chris, there were two major factors affecting this decision. The first reason, he suggests is ‘a cliché’ but it is the reality for many twenty-somethings around the world. He says he felt unsure of what it was he wanted to achieve and as a result he was unclear of what path in life he should take. Interestingly, it was the Managing Director at his previous company who encouraged him to accept his placement on the programme with some wise words which went along the lines of ‘career jobs are for later’. The second reason Chris decided to temporarily give up a reliable paycheck is one upon which every volunteer on a Challenges Worldwide ICS placement can agree. He believes the opportunities which Challenges Worldwide offer to its volunteers are incredibly valuable and rare. Being able to work alongside a small-medium enterprise back in the UK would be great work experience. But being able to do so in a developing country is amazing work experience. In this context, Chris believes his efforts can generate real, positive results in a corporate environment as well as, most importantly, having sustained, positive impacts on the networks of individuals and families associated with the business who may really need it. In addition to the potential impacts a volunteer can have on their new temporary environment, there are also many unique experiences that can be gained and lessons which can be learned as a result of working in a different country with a very different culture. Probably the most unique and rewarding aspect of the ICS programme is the opportunity given to UK Volunteers and In-Country Volunteers to live and work together. With very diverse backgrounds and vastly varied lifestyles, there is a natural process of sharing between the volunteers which occurs during the placement and enriches both their understandings of each other and their respective lives. Yet, this great opportunity does come with equally great challenges, and it is in overcoming these that both volunteers gain valuable knowledge, memories and skills. In Chris’ experience, he has found working with a Ghanaian counterpart, a Ghanaian business owner and other Ghanaian people particularly enlightening. While he may have had to deal with people arriving later than expected to meetings on more than a few occasions, he believes he has learned a lot from the generally relaxed outlook on life he has found Ghanaians to possess. Whilst the difference in culture presents challenges which need to be overcome, the business placement itself does not come without its trials and tribulations. Chris’ work so far suggests that Michachn Inventions should prioritise one product to manufacture and sell to the mass-market. Justifiably, he is concerned about the risks his enterprise may face as a result of their recommendations and, like his enterprises’ owner and many more like him across Africa, Chris is uncertain whether the business can successfully receive the required investment to finance such a strategy. Nonetheless, he feels confident that he is up for the challenge with the support of the available online resources and mentor’s guidance which Challenges Worldwide provides. Counting his blessings, Chris explains that despite the challenges he will face, unlike some of the other volunteers, he was assigned to his first choice of enterprise. As suggested by his previous employment, he has a strong interest in renewable energy and feels that ‘in a city where electricity is particularly expensive yet still cuts out regularly’ his work is important in trying to find a solution for the energy crisis the whole of Ghana faces. Although he may need to put in some serious work over the next 12 weeks in his work placement, he may be able to enjoy a more relaxing job role following his placement and before he rushes back into a job in consulting. Chris has a new hope to move to the South of France where he plans to teach sailing while he has the opportunity and lack of responsibilities to do so. Perhaps the relaxed Ghanaian views on life have already rubbed off on Chris? Someone who doesn’t plan to take things easy following his placement with Challenges Worldwide is Junior. 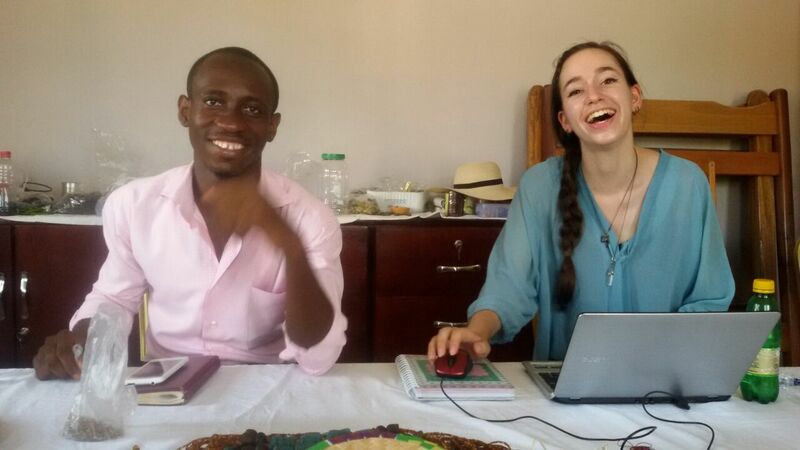 While his UK volunteer counterpart studied for some exams at the local mall, he was working from his host-home, a short taxi ride from Broadcasting Junction in West Accra. Junior graduated from the Kwame Nkrumah University of Science & Technology in Kumasi with a 1st class in Petroleum Engineering. He was born as one of 28 children from his father in Keta, South East Volta region, and as he grew up his academic potential became clear. At Senior High School (SHS), he received a grant scholarship for achieving the highest grades of his year to assist him in completing his studies. With the money which was left over from the scholarship, he decided to establish a small poultry farm on his family’s land in Keta, before he attended university. It was the money generated from his business which helped fund his further education and after graduating he made the decision to move the business to Lapaz, North West Accra. A careful and considerate thinker, Junior has his life plan drawn out on two A3-sized pieces of paper. A placement with Challenges Worldwide would not have previously had a place in this plan but he decided to apply to the program in the hope that his experience would help him run his business ‘more effectively’ in the future. He had previously conducted a few pieces of analysis on his farm to help him understand the external factors affecting it. Nevertheless, during his time with Challenges Worldwide he has already been introduced to several new pieces of analysis and given access to key resources in order to conduct these for which he is very grateful. With these in hand, he believes his hopes of expanding his business could be achieved. Junior is an example of a volunteer who is also an entrepreneur in his own right, which is a quality attributed to several of the In-Country Volunteers. Yet, as a result of some unforeseen problems, Junior has had to potentially put his entrepreneurial dreams on hold. His business faces ‘high capital maintenance costs’ and for him, again like other entrepreneurs in Africa, the spectre that is ‘the lack of affordable financing options’ in Africa overshadows Junior’s plans. Moving his hand simply from one side of the A3 piece of paper to the other, with one short, deft movement, Junior explains a not so simple change in his near-future plans. As he feels he cannot afford to continue with his poultry business immediately after the program without finance, Junior believes his next move is to pursue postgraduate studies to do a Masters and a PhD. This hope still requires receiving finance, but Junior feels more optimistic about this as shown by his beaming smile as he explains his change of plan. Junior’s optimism runs through every aspect of his life. When he was assigned to a placement with Accents & Arts which was not one of his choices, he kept high hopes by reflecting on his usual ethos of ‘remaining positive regardless of the situation’. Accents & Arts are a furnishing and decorations manufacturer who makes their products from a variety of materials including wood, iron and glass. A relatively large SME compared to the others on the program, it appears to Junior and his counterpart that the enterprise is successfully following and meeting its short and long term goals. Because of this, Junior feels at this stage a bit unclear of what he will achieve for the enterprise. He and his counterpart have also found it difficult to find time to meet with the owner as she is ‘often very busy’. But from the meetings they have been able to organise, the owner has made it clear she would like more unity between herself and her managers, which Junior feels may be difficult for them to assist with. Nonetheless, from their conversations so far, they have been able to identify areas she could introduce technology into the production process in order to increase their production efficiency as well as opportunities to utilise social media more effectively to improve their marketing. Therefore, Junior does believe there is still hope for some positive results for the enterprise as a result of their work. He also knows that this experience with the enterprise will still provide him with relevant experience to one day help him if he finally is able to restart his poultry business. So there is hope for all involved with Challenge’s Worldwide’s work in Ghana. Hope for the entrepreneurs, hope for the volunteers and hope for all those people the work of the entrepreneurs and volunteers has an impact on. All across Ghana there are entrepreneurs, like Michael at Michachn Inventions, who dream big and yet achieve more, transforming the lives of those around them by creating value from nothing. There is also a lot of ambition in Ghana’s younger generation. They are filled with high aspirations and a desire to empower those living in poverty to improve their conditions. Ultimately, it is from this younger generation that the future entrepreneurs will one day emerge. By partnering these two generations together, Challenges Worldwide is helping the current generation of entrepreneurs to achieve its full potential as well as beginning to enable the next generation to be more prepared to achieve what they want in the future. Each UK and In-Country Volunteer has now been given an extraordinary opportunity to bring new hope to themselves and the world around them as a result of the work of ICSE and Challenges Worldwide. However, what is most important to remember, is that it is still the people of Accra themselves, that will ensure that there is and always will be hope in Accra. Sitting on the Earth’s equator, Ghana receives an abundance of natural light during the day. But when dumsor strikes and all the light in the people’s homes, offices and schools go out, the air will still be filled by the buzz of power generators and the hearty glows of the kerosene lamps illuminating goods lining the streets at night time. When the odds seem stacked against them, and all that surrounds is darkness, the people of Ghana continue to remain hopeful and let their own lights shine. So the time has come for us Brits to say goodbye to the Pearl of Africa, and for the Ugandans to head home and back to normality. Our last two weeks have been very busy, finishing up some of the plans and documents we’ve all been making for our businesses, and going through the debrief processes. Naira and I spent the penultimate week working independently, as our business owner was otherwise engaged with his family life and many other projects. Entrepreneurs here definitely keep themselves busy! So, we finally edited the content of the website. It’s not amazing, but at least it now has up to date information, so will be useful for any customers searching Waste Masters online. We printed the new promotional materials, and put together a final dossier of work to hand over to the client. We also spent a day at Afribanana, conducting Business Diagnostics on potential SMEs. So the next cohort might be working with ladies who make banana paper bags and jewellery, or others who make cooking briquettes from banana stems and recycled dry waste. Zac had also organised for us all to visit the Coca-Cola bottling factory one morning, where it was interesting to see efficiency in action here in Kampala! On Friday night a few of us treated ourselves to an expat night out at Sky Lounge, to celebrate our Team Leader being offered a Project Co-ordinator role here for another five months! Of course, we were all well behaved and safely tucked up in our host home beds by 11pm. Our final team meeting and CMI training session on Saturday was short and sweet, and afterwards I enjoyed a dip in the pool at Nob View Hotel, and a nice relax. On Sunday, Amy and I went to the morning ceremony at the Baha’i Centre for Worship. Inside the temple, high on the hill, as the rain absolutely tipped it down outside, we listened to readings and chants in Luganda and English. The readings were not only taken from the Baha’i Holy Scriptures, but also the Qu’ran, Torah and Buddhist writings. Afterwards, we enjoyed a Q & A session with the most mini cup of coffee. The local Baha’i group is typically international, with North Americans, Iranians, an Indian lady, and some Eritreans in the mix. It was interesting to learn more about the Baha’i outlook on life, and their quest for unity throughout the world. This would include having a universal language to facilitate global understanding, which has not yet been ‘officially declared’. Odds are on English to win it, though I’m sure there are many people who would begrudge that being so. In the afternoon we were further treated to a last big lunch, at Heini’s host family’s home in Kyaliwajjala (try reading that one out loud – the “ky” is “ch”). Rebecca was the lovely lady who took us to the Introduction Ceremony some weeks back. She put on an amazing spread – probably the best meal I’ve had here through the sheer variety (all the vegetables!!) – and we enjoyed sharing it with her sons and other church associates. The church’s motive was to encourage some of us to come back in the future and volunteer as teachers at their school, in exchange for board and lodging at the pastor’s house. Anyone interested, just get in touch! The final week was all about dotting the ‘i’s and crossing the ‘t’s. Naira and I spent Tuesday calling and messages customers to thank them for their support on the Fifth anniversary of the company. It was a pleasure to hear positive feedback from them all. We also had a great meeting with Chrispin, wherein we handed over all of our work and set him up on Challenges Marketplace. The Marketplace is an online platform, set up by Challenges Worldwide, that connects SMEs in developing countries with mentors, donors and investors. Over the last 15 years, CWW kept seeing that the most common problems stopping the correct external support and investment reaching these smaller enterprises was high engagement costs, lack of reliable information and unaffordable support services.  They are now looking to address this with this simple, low cost and transparent technology platform, which allows SMEs to profile their company and chart progress over time by submitting monthly reports of their financials, KPIs and operations. From this, businesses should then be able to access the vital support and investment needed to grow. On Wednesday, we had a debrief day at CURAD, during which we reflected on the impact we have had on the businesses, and the resulting positive impact this will have on the local community. For example, many of the business our team consulted for were agribusinesses, which support farmers with training and resources, and promote the value chain within Uganda. Others supported disabled women, or funded adjoining charities. Our contribution to Waste Masters’ marketing will allow them to expand their customer base, and when they grow they will be able to achieve their long-term goal of running the recycling plant outside Kampala, which will contribute to making the city cleaner and greener. It’s the small things too: just by being here, Naira and I have made Chrispin concentrate more on his business, and helped him organise his future plans, so that they might run that little bit smoother. Unfortunately for me, I spent the debrief day vomiting, and then a joyous evening at Abii Clinic being tested on. Although at the time I wasn’t laughing, on reflection my clinic experience was hilarious. Learning to breathe, laugh and move on is essential for anyone wanting to live here. So despite my pain and tears, Doctor Nicholas seemed to think the appointment was a good opportunity to network (apparently I’m coming back in five years to do business with him) and preach (both him and the phlebotomist tried to convert me to become Born Again). Anyway, fortunately for me it’s nothing some antibiotics and a lot of sleep won’t sort, so I’ve been quite chilled for the last couple of day. Tonight Challenges Worldwide is throwing a final goodbye party for the host families and business owners. As I write, I’m sitting in the beautiful gardens of Capitol Palace Hotel, basking in the Ugandan sunshine for one last afternoon. Although I’m so ready to go home, and already excited about getting stuck in to new projects in the UK, I am going to miss this crazy country! I’ve laughed and I’ve cried, sometimes at the same time. Although I never got to see a pig on a boda boda, I have experienced something new every day, overcome numerous barriers and met some amazing people!